Formula One in Schools teams are comprised of three to six students that are tasked with creating a business plan, crafting a budget, acquiring sponsors, and developing a model Formula One car. The P1NNACLE car is a scale model of a Formula One race car, powered by a CO2 canister. Our innovative car design will prevail in timed racing against competitors across the nation and world. The process of manufacturing the vehicle is extensive with the integration of numerous components and variables; the design evolves through numerous iterations, with changes in airﬂow and force distributions across the car based on self-conducted studies. Students are able to engage in community outreach, forging connections with businesses in varying fields. Each team is responsible for a variety of detailed tasks including: Budgeting, Computer Aided Design (CAD), Brand Identity, Marketing, Computational Fluid Dynamics (CFD) Analysis, Pit Display, Sponsorships, Fundraising, 3D Printing, Machining, Painting, Social Media, Community Outreach, Aerodynamics, Leadership, Teamwork, Financial Strategy, Physics, Computer Numerical Control (CNC), Advertising, Interview, Multimedia Presentation, Drafting, Apparel, Copywriting. The members of the P1NNACLE team come from different schools and backgrounds, but we share a common dream: to combine techniques acquired from years of STEAM education in order to develop innovative ideas, through which we can share our knowledge with others on a local and national scale. Our team is composed of nine members from three schools in Manatee County, Palmetto High School, Southeast High School and the University of South Florida. Each of our members provides distinct skills which contribute to the overall competence of the team. We aim to create the fastest car and to have the best Formula 1 in Schools team in the world. Alongside our partners, we intend to establish a strong connection to our community. Previous F1 in Schools teams based in Manatee County have dominated year after year on both a national and global scale. 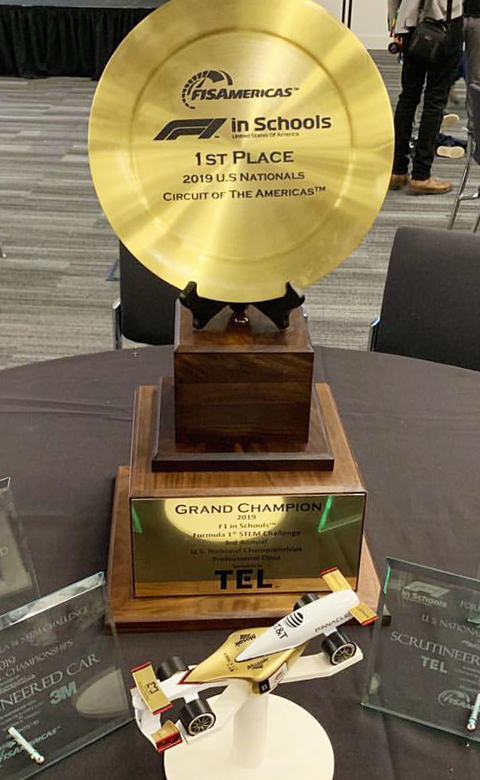 Our goal is to win the USA F1 in Schools Nationals on February 20-23, 2019, in Austin, Texas and go on to compete in the 2019 World Finals. In addition to the challenges of winning at competition, the P1NNACLE team faces the daunting task of raising our own funds to cover the costs of competing. We need and are asking for your financial support. All donations must be directed to the Manatee Education Foundation. Online donations can be submitted through the donation feature on this page. A detailed budget for our USA Nationals Championship effort in Austin, Texas is available for review by clicking the link below. On behalf of the entire P1NNACLE team, thank you very much for your support! To help support the P1NNACLE F1 in Schools student racing team, please click the "Donate Now" button below. Thanks to the individuals, businesses, and organizations helping us to achieve P1NNACLE's "One Goal" of earning a World Championship. P1NNACLE Racing Team wins First Place at the National Championships. Please join us as a team sponsor as we prepare for the World Championships! Follow our news updates on the P1NNACLE Picdeer Instagram post page. 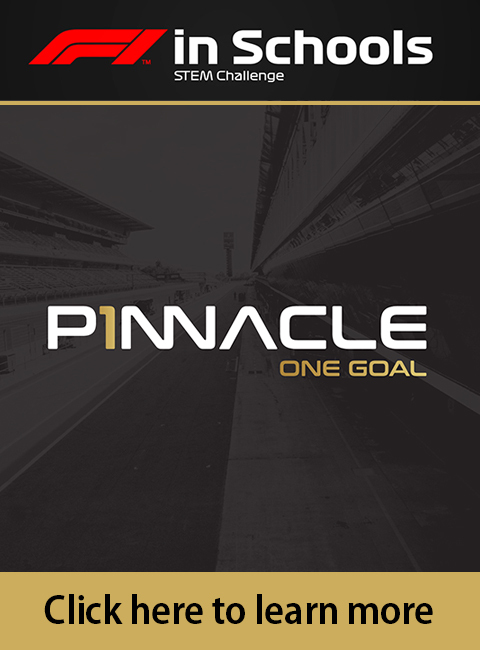 Click here to for the latest from the P1NNACLE team. Thank you! Become a team sponsor today!